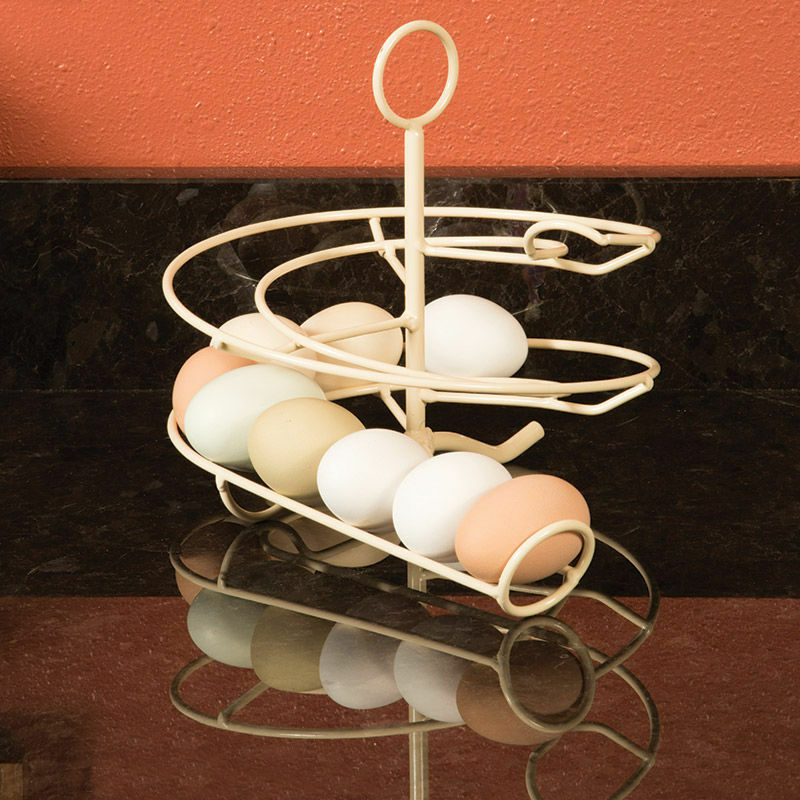 Unique way to store and display your backyard eggs on your countertop. 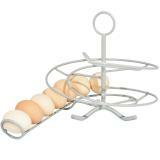 Take from the bottom, add to the top and you will always be using the oldest eggs. Fresh, unwashed eggs may be kept 1-2 weeks at room temperature. Dimensions: Length 13", Width 8", Height 12". 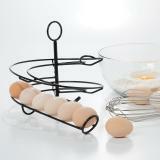 Holds up to two dozen standard-sized eggs. 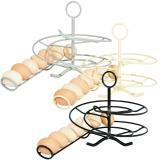 Easy to clean and dishwasher safe, made of powder-coated steel. 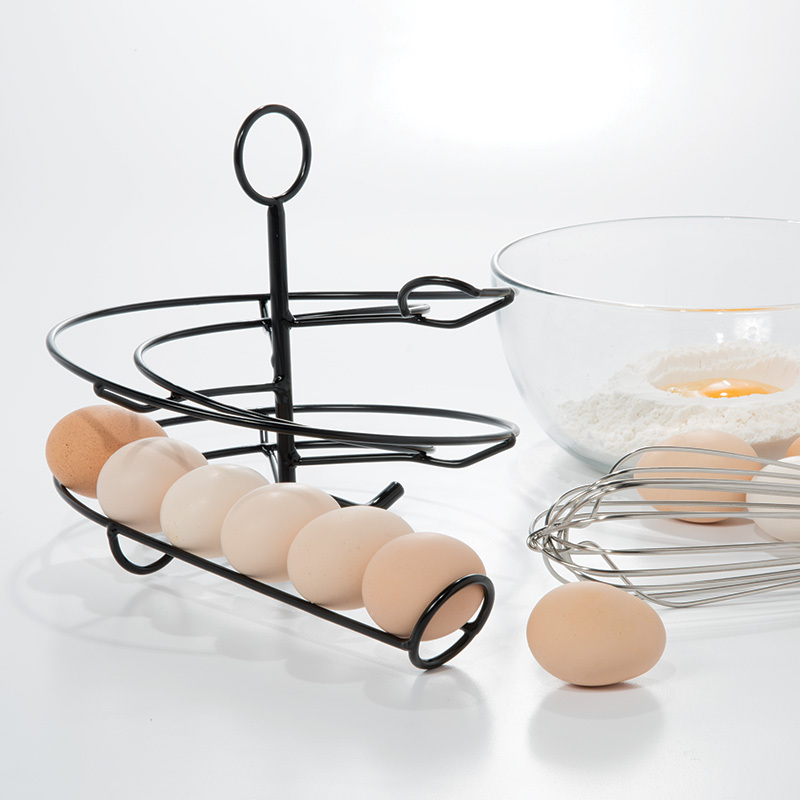 Keeps eggs in order of lay—always use the oldest egg first. The narrow end of the egg should point “in”. Egg Stamp - "Illustration of the Sun"
Egg Stamp - "Illustration of a Chicken"
Recommended: 27 out of 29 said they would recommend this product to a friend. This is a really cute way to display your eggs and you will always know which egg you should use first — but, the eggs DO NOT roll consistently down the apparatus. If you have a perfectly round egg, its good, otherwise, they start to roll then turn and get caught up in the framework or just stop rolling all together. Still a nice display. 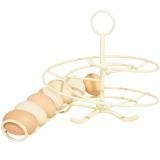 This egg rack makes it so easy to keep eggs in order, along with being very nice looking on the counter. Eggs don't roll down as well as I had imagined when we remove an egg, but otherwise it is great. 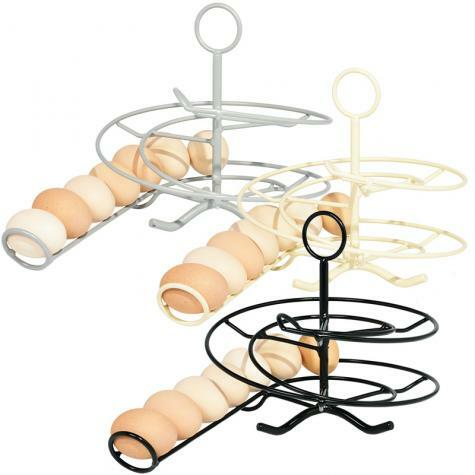 A much better solution than the unsightly multiple trays and egg cartons I had been using. 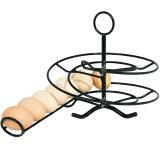 Cute and displays my eggs nicely! 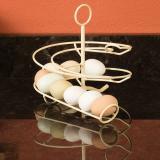 Pretty on the counter and nice to keep the fresh eggs organized instead of assigning them dates. Shipping time was great. 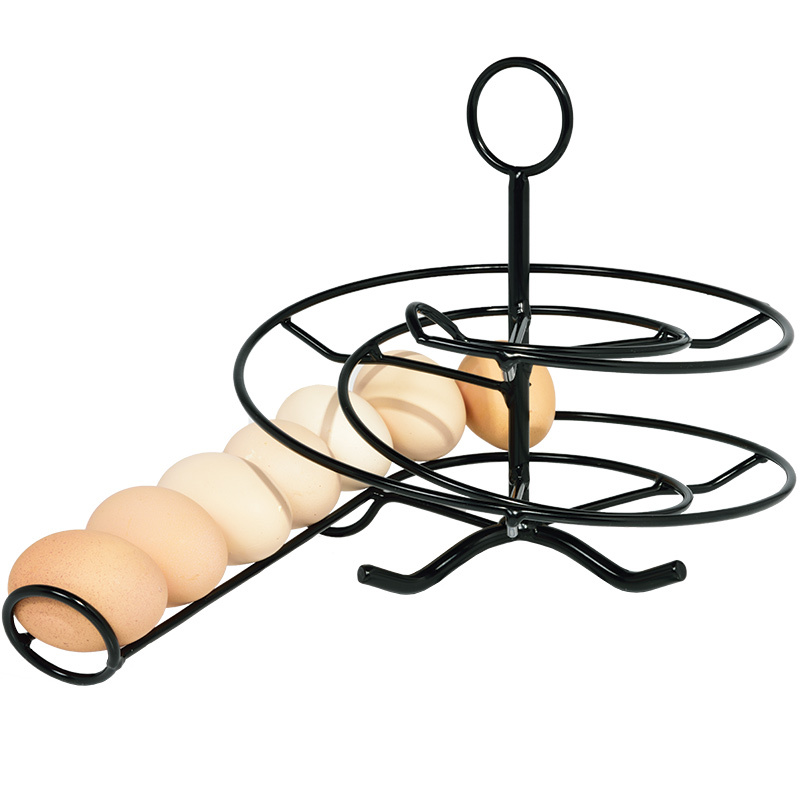 We love this piece on the counter to use and display, of course we experience some eggs will get turned some and not roll but that will happen we have all different size eggs. I recommend this skelter it is well built and nice paint job.